WE SHIP METAL ROOFING MATERIALS TO MEXICO, THE CARIBBEAN, AND LATIN AMERICA. We ship Standing Seam Metal Roof Panels in Copper, Aluminum, Galvalume and Rheinzink. 5V-Crimp Metal Panels. All Metal Roofing Accessories that you’ll need including clips, screws, and Metal Roof Underlayment. We can ship you everything you need for a professionally installed Metal Roofing System with our export services. You also have access to our technical support team as well as architectural support for drawings, take-off and precise measurements. Do you have a customized design for your roof? Are you looking for a replacement part that is difficult to find? Our team of dedicated metal roofing professionals is standing by, ready to help. At Metal Masters Shop, we can make any type of metal panel and type any metal roofing accessory. Our experts will make sure that your customized product is done exactly how you want it and you need it. We have the skills and experience required to produce top-quality, fully customized metal roofing products. In fact, we specialize in putting together custom orders for clients throughout Mexico, the Caribbean, and Latin America. Whether you are looking for a product in a unique size, a particular color, an odd shape, or any other type of look or arrangement — we have a solution. If you can get us a drawing, our team of experienced professionals can make it for you. We serve roofing contractors and property owners throughout Mexico. Due to their energy efficiency and durability, metal roofs have become the preferred choice of many homeowners and commercial property owners all around Mexico. Metals roofing reflects the heat, pushing it away from the building and reducing the interior temperature. This makes it far more pleasant for the occupants and it can cut air conditioning costs, which represents a major benefit to homeowners and businesses in Mexico. At Metal Master Shop, our team has extensive experience exporting metal roofing panels and metal roofing accessories directly to Mexico. We are proud to work with satisfied customers throughout the country, including in Mexico City, Veracruz, Jalisco, Pueblo, Guanajuato, Chiapas, Nuevo León, Michoacán, Oaxaca, Chihuahua, Guerrero, Tamaulipas, Baja California, Sinaloa, Coahuila, Yucatán, Tabasco, Campeche, and Quintana Roo. Unfortunately, we have all seen the devastating storms that have impacted wide swaths of the Caribbean in recent years. A strong, reliable metal roof that can withstand high-wind speeds and torrential downpours is more important than ever. Our company is one of the few roofing suppliers to export directly to customers all over the Caribbean. No account is too big or too small for our needs. If you are a roofing contractor, commercial property owner, or a residential homeowner who is located in the Caribbean, and you are looking for metal roofing products, supplies, and accessories, please contact us today for immediate assistance. Our company is proud to serve customers on islands throughout the Caribbean, including Dominican Republic, Puerto Rico, Jamaica, Trinidad and Tobago, Haiti, Guadeloupe, Martinique, Bahamas, Barbados, Saint Lucia, Curaçao, Aruba, Antigua and Barbuda, Dominica, and the Cayman Islands. At Metal Master Shop, we export to countries throughout Latin America. If you are interested in getting the best quality metal roofing products or metal roofing accessories available to construction contractors and consumers in Latin America, our team is here to help. We always work with the best materials. A list of countries that we serve in Central America includes Belize, Guatemala, El Salvador, Honduras, Nicaragua, Costa Rica, and Panama. For more information about our export services to Latin America, please do not hesitate to call us today. STEP 1 – CALL US at (305) 712-6432. We have Metal Roofing professionals who can answer all of your questions and get you exactly what you need quickly. You have instant access to the best in the industry. Our team of professionals is proud to provide the best customer service. We are committed to helping you find the best solution to all of your metal roofing needs. Se habla español. STEP 2 – We will get back to you promptly with a quote for the materials and shipping, including how long the materials will take to arrive. All of your materials are professionally packaged and protected to ensure top quality and your complete satisfaction. If you have any concerns or issues, we will work hard to fix them. STEP 3 – You confirm your order with payment and we ship your materials. It’s that simple. 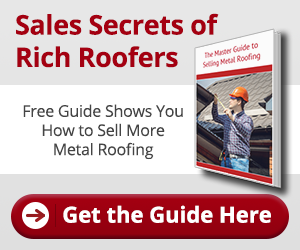 In recent years, metal roofing has become an increasingly popular product. There are several different reasons for this. To start, metal roofing is energy efficient. Not only is this better for the planet, but there are also major financial advantages to owning a metal roof. With energy prices rising, and likely to increase in the future, an energy efficient roof is more important than ever. In addition to the cost savings from energy efficiency, metal roofs have a longer average lifespan than other common types of roofing. Another advantage is that metal roofing is strong. This is especially important for residential and commercial property owners in South Florida, the Caribbean, Latin America, and Mexico. Metal roofs perform well in major storms. Finally, metal roofing requires very little maintenance. Once your metal roof is installed, you will not need to deal with the hassle of constantly worrying about your roof. We are proud to be Miami’s top metal roofing supplier. Our team of metal roofing experts is committed to providing the highest level of service to our clients. We have extensive experience exporting metal roofing panels, metal roofing accessories, and fully customized products to contractors and homeowners throughout Mexico, the Caribbean, and Latin America. We serve a wide range of different clients. Our customers are roofing contractors and subcontractors, homeowners, commercial property owners, and other individuals and businesses that are in the construction industry. At Metal Master Shop, we always put our customers first. We understand how complicated roofing projects can be. If our customers ever need additional products that were not on the estimate, we work hard to help. Our team gets things done fast — and we do it the right way. One of the many things that set us apart from the competition is our turnaround time. If you are working on a tight schedule, please give us a call now. We set the standard for providing high-quality, quick service. If you are looking for the best metal roofing products or metal roofing accessories, you have come to the right place. Please browse our website for what metal roofing materials, supplies or tools you are looking for. Some of our recent projects can be viewed in our gallery. We are also happy to provide you with any additional information that you need. Remember, you do not see something you need, call us and ask us about it. Not everything we carry is listed on the website, and we can make customized products for you. No matter what you need, we are ready to help. Metal Master Shop only uses top-quality, long-lasting materials. Contact Metal Master Shop Today! Are you ready to get started? Please call us now at (305) 261-9290 or contact us directly through our website. Our team of metal roofing professionals is ready to answer any and all questions that you might have about your project and our products. Get your free quote now. We look forward to providing you with the best customer service experience in the industry via our export services.